BEING born premature inspired Mr Dickie Loong to become a nurse. He says: “My mother used to tell me stories of how the nurses played a critical role in my growth and development after I was born. “I was discharged on my first birthday, and to celebrate, the nurses in the ward bought me a birthday cake. After seven years of being in the profession, the flame is still burning strongly. Mr Loong is an enrolled nurse at Alexandra Hospital, which is managed by Jurong Health Services (JurongHealth). He regularly receives compliments from patients for being patient, caring and friendly. They say he deserves an award for taking such good care of them. One patient recalls how Mr Loong would crack jokes to make him feel better. Even his colleagues attest to his helpful and selfless nature. Mr Jagadis Ranggasamy, a senior nurse manager, says Mr Loong arrives before the start of his shift to help his colleagues on the earlier shift. Any requests from patients are followed up faithfully to ensure they are comfortable. Ms Vanie Sinnaporavy, a staff nurse, says Mr Loong often sits by his patients’ bedsides to chat with them after completing his duties. And when patients do not see him, they ask for him. Mr Loong hopes more locals will join the nursing profession as they can speak the local languages and interact better with patients. He adds: “Nursing is a very good profession, and if you constantly upgrade yourself, you can go very far. As a public health-care cluster, JurongHealth’s priority is to nurture talent and groom future nursing leaders. 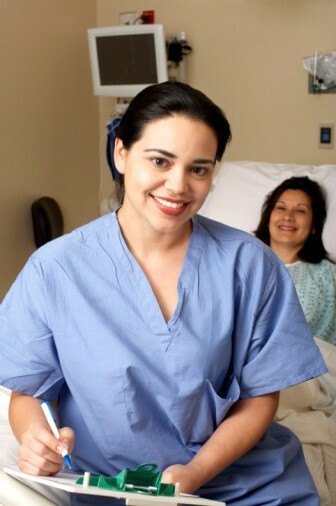 Promising nurses are trained to take up supervisory roles. The Assistant Nurse Clinician (ANC) programme was created to harness their full potential by developing their clinical reasoning, critical thinking and health assessment skills systematically. The ANC programme comprises the key domains of mentoring, reflective learning, self-directed learning, systems thinking, and project management and sustainability. Nurse clinician Manjinder Kaur is one of the nurses who has benefited from the ANC course. It has enabled her to have a macro view of the work processes and has sharpened her analytical skills to pilot new changes and share her views to improve the workflow. She has also improved her interpersonal and time management skills. Nurse clinicians like her are not only involved in day-to day operations of the department but also in maintaining professional standards, coaching, supervising and leading the teams. All nurses can choose their areas of specialisation, which include infection control, palliative care, diabetes, orthopaedics, wound care, stoma care and breast care. Nurses at JurongHealth — which also manages Jurong Medical Centre — have the advantage of being part of a pioneering team that is building the Ng Teng Fong General Hospital and Jurong Community Hospital, which will open in 2014 and 2015 respectively. Nurses in the cluster have the unique opportunity of having a say in shaping the new hospitals as well as building the culture of the organisation. Says Madam Kuttiammal Sundarasan, director of Nursing at Alexandra Hospital and Ng Teng Fong General Hospital: “These nurses have taken a leap of faith to join a start-up and have found immense satisfaction in their involvement in hospital-planning projects. “Shaping the right culture and building a hassle-free hospital for patients are just some of the many unique opportunities that JurongHealth offers.